Whereas popular news media tend to neglect environmental harm because it is dispersed, difficult to prove, and unspectacular, documentary filmmakers have produced important works bearing witness to the health effects of militarized landscapes. Whereas critical maps and photographs like Girard’s document the geographical and architectural features of US bases, film and video are especially effective in tracking how environmental factors persist and mutate across long time spans as vulnerable communities continue to inhabit damaged terrains. Jeff Spitz and Bennie Klain’s The Return of Navajo Boy (2000) directly addresses how popular media neglect the real historical experiences of Native Americans by documenting the experiences of a Navajo family who played Native American characters in many Hollywood westerns. The film’s main subject, Elsie Mae Cly Begay, attributes the numerous cases of cancer in her family to contamination from uranium mines on the reservation. When Elsie’s mother died from lung cancer, the destitute family gave up her infant son John Wayne Cly to be cared for by Christian missionaries. In addition to documenting uranium-related illnesses suffered by miners and Navajo neighbors, the film shows how these health problems led to a family separation. The story of the Cly family contrasts conventional Hollywood representations of Native Americans (often featuring Cly family members and other Navajo in the Monument Valley) with the media’s neglect of struggles over land rights, unsafe labor conditions in uranium mines, and the long-term effects of uranium mining on nearby inhabitants. Since the film’s release, the Navajo nation has prohibited uranium mining on its reservation, and the Indian Health Service has begun using this film to educate the public about this historic episode of environmental racism. Documentary films about Agent Orange have played an important role in expanding Americans’ awareness of a war’s effects beyond the battlefield spectacles popularized by war movies. Officially designed to deny food and cover to Vietnamese combatants, the US strategy of ecocide devastated Vietnam’s countryside, poisoned local food and water sources, and exposed both US soldiers and the Vietnamese to a range of illnesses and birth abnormalities. While early coverage of Agent Orange—such as Jacki Ochs’ award-winning Vietnam: The Secret Agent (1983)—focused on struggles for compensation by US veterans exposed to dioxins, more recent documentaries such as the Vietnamese filmmaker Vu Le My’s Where War Has Passed (1998) and Masako Sakata’s Agent Orange: A Personal Requiem (2007) highlight the experiences of Vietnamese families raising children with congenital disorders. Whereas Vu uses close-ups to detail how dioxins have affected over twenty children’s bodies, Sakata’s film focuses more on childrens’ daily lives and conditions of caretaking (see Reagan 2011, 58). Motivated by her own husband’s death from liver cancer (which she believes is linked to his exposure to dioxins while serving in the US army), Sakata draws connections between the families of US veterans and Vietnamese coping with the war’s environmental effects long after its official end. 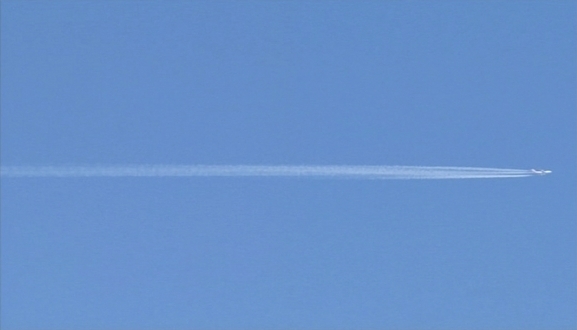 Still from Vapor Trail (Clark). Reproduced with permission from John Gianvito. Gianvito’s Vapor Trail (Clark) (2010) and Vapor Trail (Subic) (forthcoming) had their beginnings in a trip he took to Manila to conduct research for a narrative film: as he explains, “What I experienced in those very first days propelled the jettisoning of that fictional project and led to a four year undertaking to bring attention to the on-going plight of the thousands of people living within the vicinity of the still toxic environs of the former U.S. military bases in the Philippines—the Clark Air Base and Subic Naval Base” (Gianvito 2010). Vapor Trail (Clark) draws on archival documents, interviews, historical images, and extensive landscape footage to present the complex history of environmental poisoning suffered by Filipinos settled on or near the abandoned Clark Air Force Base. The film focuses on environmental justice activists struggling for the US to make reparations and clean up the base, which the US evacuated when the nearby volcano Mt. Pinatubo erupted in 1991. The Clark base was used as a temporary evacuation center for thousands of Filipinos displaced by the eruption, and contaminated water there led to many cases of illness, miscarriages, and congenital disorders. Instead of focusing on the bodies of disabled victims, Gianvito situates interviews with activists from the People’s Task Force for Bases Clean-up within the long history of US imperialism and military presence in the Philippines. Perhaps the film’s most striking scenes are those depicting children working and playing on the beautiful, contaminated land, along with a long sequence featuring the gravestones of children whose lives spanned just a few years, weeks, or hours. These films use documentary techniques to provide deep social and historical contexts for the stories of those groups most directly affected by military pollution. By contrasting polluted bodies with beautiful landscapes, they stress the unnatural effects of nuclear and chemical contamination. At the same time, they use archival footage and historical documents to connect contemporary instances of pollution to past acts of imperial conquest and economic exploitation. Documentaries are a crucial tool for reflecting on the memories and struggles of vulnerable subjects frequently unrecorded or forgotten by mainstream media. Gianvito, John. “Director’s Statement.” Press kit for Vapor Trail (Clark), 2010. Reagan, Leslie J. “Representations and Reproductive Hazards of Agent Orange” The Journal of Law, Medicine & Ethics 39, no. 1 (2011): 54–61.